Couplet Contest Finds a Winner! By admin on February 29, 2016 Comments Off on Couplet Contest Finds a Winner! 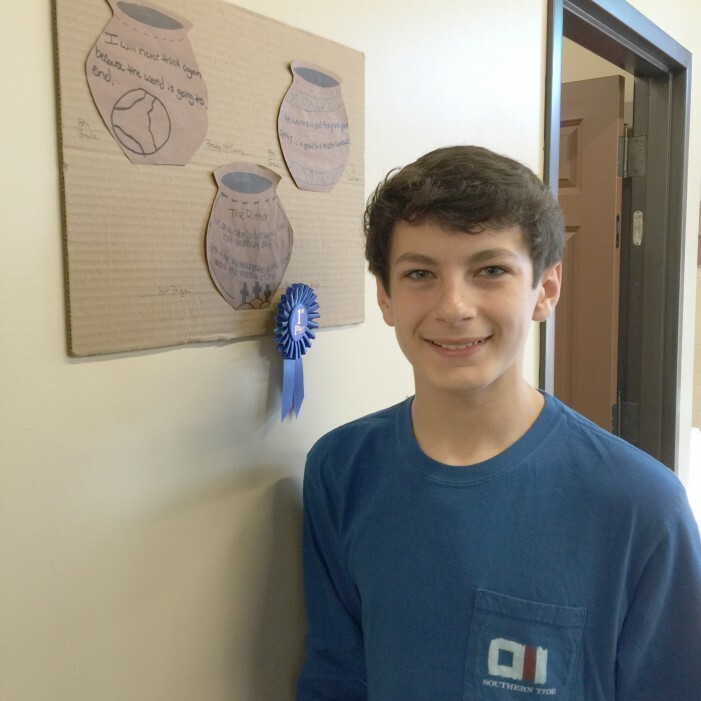 Nathan Alan Kulp of Trenton won the First Place Blue Ribbon in the Couplet Contest sponsored by the Poet Laureate of Edgefield, Laurel Blossom. Nathan Alan Kulp of Trenton won the First Place Blue Ribbon in the Couplet Contest sponsored by the Poet Laureate of Edgefield, Laurel Blossom. This contest brought together the two worlds of poetry and pottery as it drew from the renowned potter Dave Drake and his couplets put on his pots in the 19th century. In the 21st century endeavor, over 111 entries competed for the prize.